It's hard not to succumb to the charms of The Fire Sermon's kick-off track, "Cashmere." 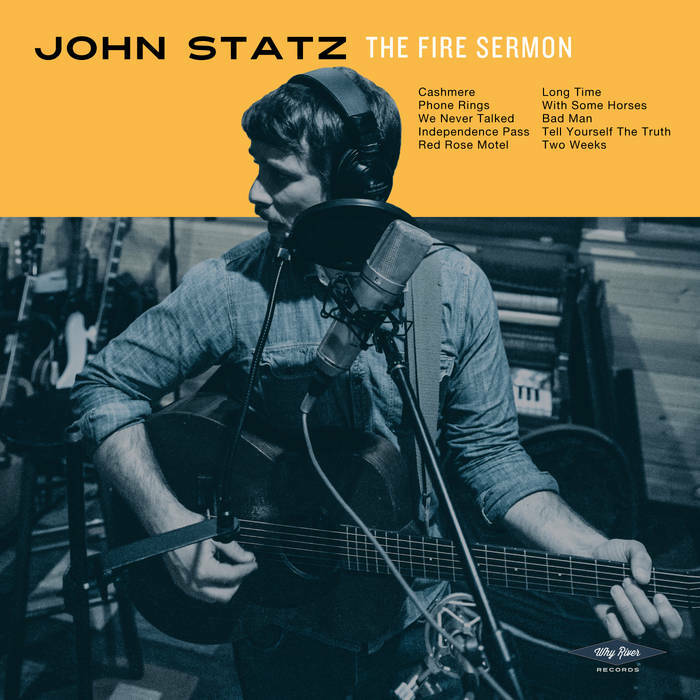 The light chorus and driving guitars display journeyman songwriter John Statz's finely honed pop sensibilities. Helmed by friend and fellow Denver songwriter Megan Burtt, The Fire Sermon is a well-polished piece that is both charming and instructive. Named after one of the Buddha's sermons (by way of TS Eliot's "The Wasteland"), The Fire Sermon is a meditation on life's seductions and how they never get us further in the end. While "Cashmere" is a breezy joy ride, the album gains heft as it progresses. "Red Rose Motel" is a country rocker with the bubbly beat of a Buddy Holly song about life on the road. "Bad Man" sees Statz digging into his inner Tom Petty with a strong beat and self-mocking self-pity. The closer, "Two Weeks" is the album's most dramatic and is the kind of fiery outburst I'd love to see more of from Statz in the future. This is where we see the price paid for pursuing the petty vanities of this earthly life. Please note that this album was sent to me through SubmitHub, in which I get paid 50 cents per song. To help support the blog, please consider donating to my Patreon!